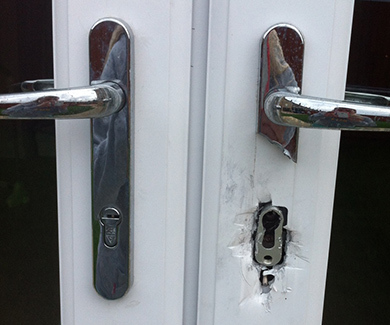 We at Locksmith Fareham believe that lock snapping is now the preferred entry method of your average Burgalar. 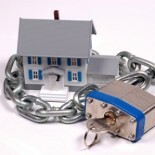 In fact, some Police regions have reported burglaries resulting from lock snapping have already reached nearly 30%. And its accelerating!! The general public in Fareham are relatively unaware about the dangers of lock snapping, and that millions of homes around the country are completely exposed. The standard euro-cylinder on these homes has a major weakness that lets burglars enter homes quickly, quietly, and using every day tools with no training. In many cases they can open a door quicker than the homeowner can with a key. 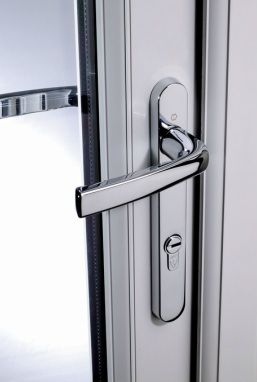 The principle of Lock Snapping is simple – because there is very little metal surrounding the area where the euro-cylinder screws to the door, when enough force is applied to the cylinder it just snaps at this point. Once broken the burglar has access to the the most vulnerable part of the door, the multi-point-lock or dead lock, and can open the door in a few seconds. 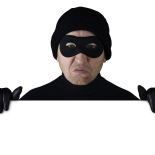 Thieves are taking advantage of this weakness and are getting into homes quicker than ever before. They are often looking to grab car keys and due to the speed of the process have left the property even before an alarm is activated. The authorities have been aware of lock snapping for many years, but refrained from alerting the public in an attempt to not publicise the technique to criminals. But due to its growth many police forces, standards agencies and manufacturers are now making the public aware. 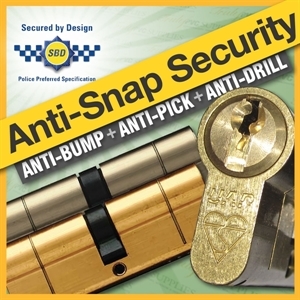 Should you wish to have your door locks upgraded to antisnap, anti-bump, anti-drill, anti-pick then give Fareham Locksmiths a bell anytime on 01329 890043. There are now many ‘anti-snap’ locks on the market, some are very secure and some are not, however, we only stock the top quality locks at the best prices in Fareham. Click on the link below to find out just how widespread this problem has become.